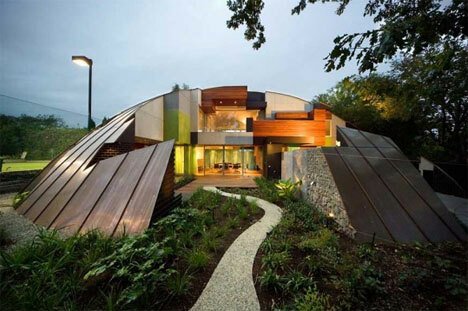 Who has not wanted a one-of-a-kind home to call their own? Some people, however, take this desire to extremes most of us would never go to – even if we could afford it. 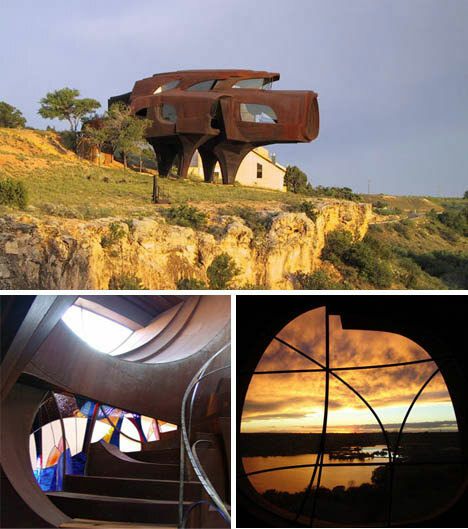 From houses shaped like shells and flying saucers to structures made entirely of steel or lofted up into the trees, here are eight of the most unique, unusual and amazing homes on the planet. With images so colorful, clean and incomprehensibly curved it would be easy to believe these photographs were forged – constructed on the desktop of some insanely creative designer. 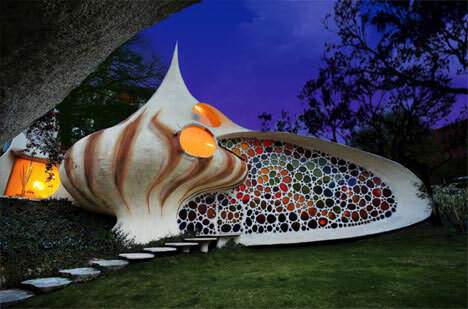 However, this spectacular shell house design by Arquitectura Organica is a virtual wonderland of visual collages, each room curving organically into the next. 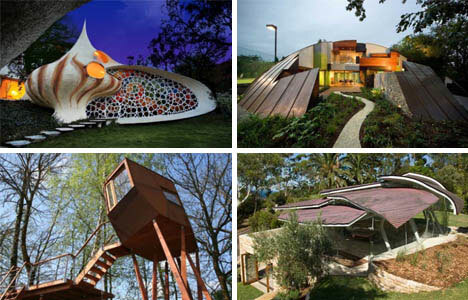 Each creatively unique house by Bart Prince tells a story of the site, surroundings and the client for which it was made. As much an artist as an architect, Prince defies convention as a designer who is very difficult to pin down to any particular style or consistent approach. 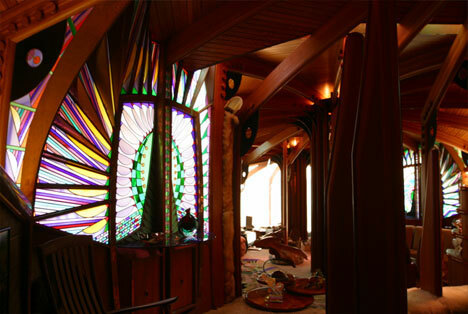 The cleverly abstract Klein Bottle House by McBrides Charles Ryan is as much a puzzle set or experiment as it is a work of unique architecture. 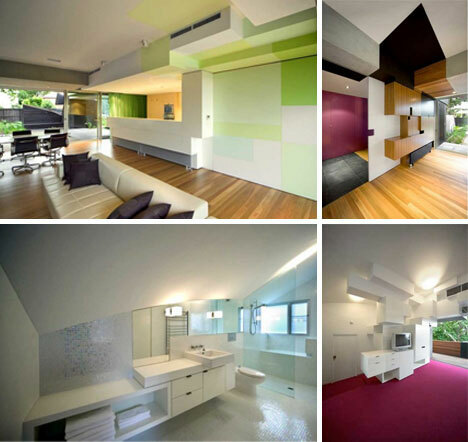 The jagged, piecemeal approach to the exterior is carried throughout the interior of the home as well – each room part of an impossible-to-define whole. 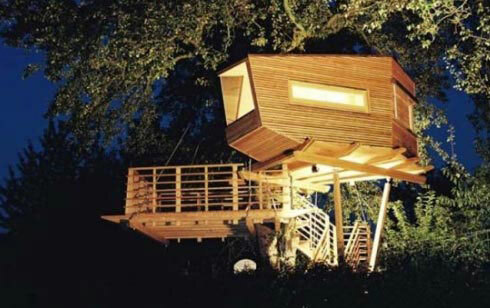 Tree houses have come a long way since we were young. 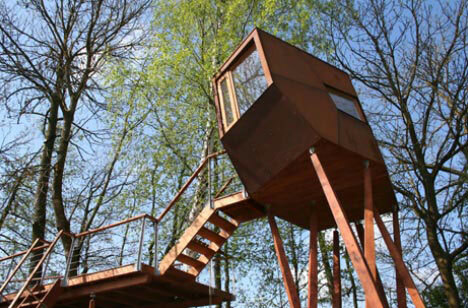 There are modern tree house designers around the world but few are as impressive as Baumraum, a group that constructs highly complex modern homes that are virtually independent and sustainable for actual living. 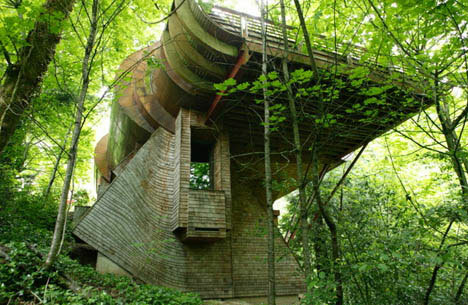 Continuing the tree house theme, this house is almost like a tree itself – its living spaces lofted high above the forest floor and on level with the canopy above. 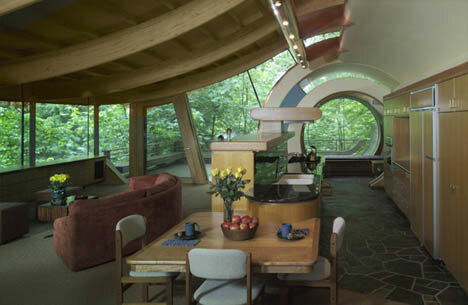 Designed by Robert Harvey Oshatz, the curved form of the structure flows into and out of the surrounding tree cover with amazing grace and visual fluidity – connecting it with the living world that encircles it. 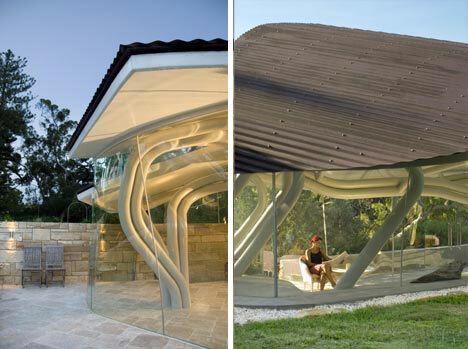 There are more than two ways to use trees as the inspiration for amazing architecture. 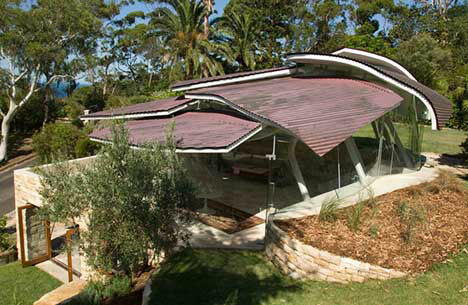 This desert house set in Australia by Undercurrent employs leaf-like roof panels that create an interesting form for the structure itself but also connect it with the extensive planted world around it. 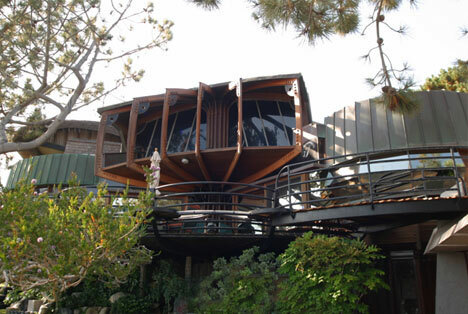 Architect John Lautner was well known for breaking convention in all kinds of ways, creating buildings that have been immortalized by movies and structures that have stood the test of time in their engineering and aesthetics. 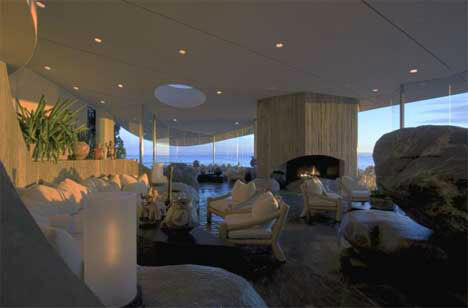 He, too, has used nature as a foil for his work – notably bringing rocks right into the living rooms of some of his designs. 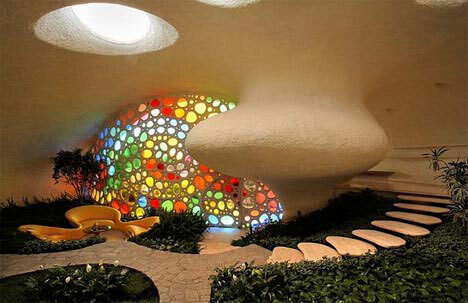 The life’s work of one amazing architect is at once a work of engineering genius and astonishing artistic talent. 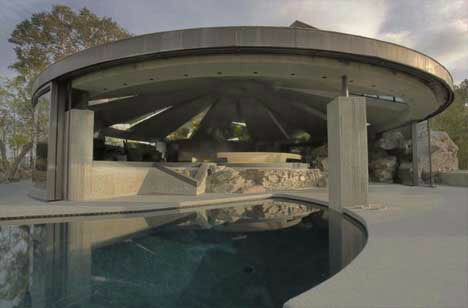 Constructed of tons of layered and curving pieces of steel, each curve of this one-of-a-kind house by Robert Bruno is unique and custom-crafted in this winding architectural wonderland and the views are to die for.